The entire ‘river of warm water’ that flows from the Caribbean to the edges of Western Europe is dying due to the Corexit that the Obama Administration allowed BP to use to hide the scale of the BP Deepwater Horizon Oil Disaster. The approximately two million gallons of Corexit, plus several million gallons of other dispersants, have caused the over two hundred million gallons of crude oil (that has gushed for months from the BP wellhead and nearby sites) to mostly sink to the bottom of the ocean. This has helped to effectively hide much of the oil, with the hopes that BP can seriously reduce the mandated federal fines from the oil disaster. However, there is no current way to effectively ‘clean up’ the bottom of the Gulf of Mexico, which is about half covered in crude oil. Additionally, the oil has flowed up the East Coast of America and into the North Atlantic Ocean, and there is no way to effectively clean up this ‘sea bottom oil’. It is likely, based on numerous reports, that the oil is still flowing in massive amounts from multiple places on the seabed floor. 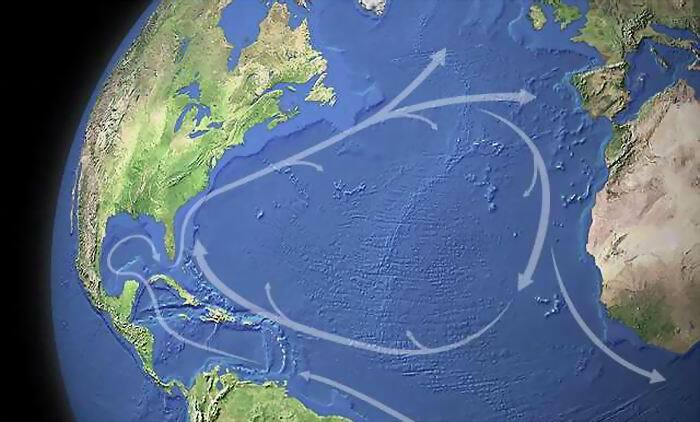 This effectively means, that even if we had the technology in place to somehow clean up the free flowing thick crude oil deep in the ocean, it would likely not be enough to reverse the damage to the Thermohaline Circulation System in the Atlantic Ocean. The evidence has come in from ROV video and other experts such as Matt Simmons, BK Lim, and Lindsay Williams and my own anonymous whistleblowers from inside the closed circle of Cameron Ironworks, Tranocean Marine , Oceaneering International. My source provided very solid info re the ROV analysis by Oceaneering engineers that the BOP Blow Out Preventer was ‘modified’ and never had hydraulics to close the BOP. BP knew that the field had dangerous high levels of methane, hydrogen sulphide, and pressures exceeded any valve technology as the current state of the art. The seeps continue along a fractured fault line from the Macondo well site where evidence presented by BK Lim that the only well of three that reached the abiotic batholith ocean of oil and gas was never capped or stopped and has continued to leak along the ocean floor and inject oil and gas and tar into the rock strata. Dr Gianluigi Zangari PhD from the Frascati Institute is a Theoretical Physicist who has worked for years with a collaborative network of scientists monitoring the Gulf of Mexico Loop Current and its contribution to the Thermohaline Current System that makes the Gulf Stream that becomes the North Atlantic DriftCurrent and subcurrents. After receiving a contact from a naval scientist via a regular guest on a national radio show on Genesis Network, John Moore sent Dr. Deagle the info on Dr Zangari’s work. Dr. Deagle contacted him by SKYPE and and within minutes was conversing by SKYPE to Italy with Dr Zangari about the entirety of his serious analysis with data from six satellites of the May to June 12th 2010 dissolution of the Loop Current. Over the next few weeks to July 28th, with numerous interviews on The NutriMedical Report and LiveStream.com/TheNutriMedicalReportShow updates, final proof was provided that the Gulf Stream had been stopped cold at the 47th longitudinal parallel with a 10 degree Celsius ocean temperature drop, and loss of velocity and energy, so that the Gulf Stream was only able to be measured by satellite to less than one-third the way across the Atlantic ocean. As Dr Zangari stated, this is not the butterfly effect but the ‘elephant effect’, and with the amount of oil released, the natural system linked as the pacemaker to world climate for millions of years, this was now gone, replaced by an artificial system with a Gulf of Mexico by late July seven degrees Celsius above normals, and totally disconnected Loop Current from the Florida current that becomes the Gulf Stream. In his reported on June 12th 2010 in a journal article, the CCAR Colorado data agreed with the NOAA and US Naval Satellites data. This live satellite data map later altered on the CCAR servers, and he emailed that this was “to falsify” and he could not explain this fact logically. He returned to NOAA and US Naval data on the same and later dates and stated by early August that the CCAR data was no longer reliable and his conclusions was not changed in quality or quantity of the serious consequences. His conclusion that ‘glaciation’ at an unknown pace was inevitable from this disaster. The massive amount of crude oil, ever expanding in volume and covering such an enormous area, has seriously affected the entire thermoregulation system of the planet, by breaking up the boundary layers of the warm water flow. 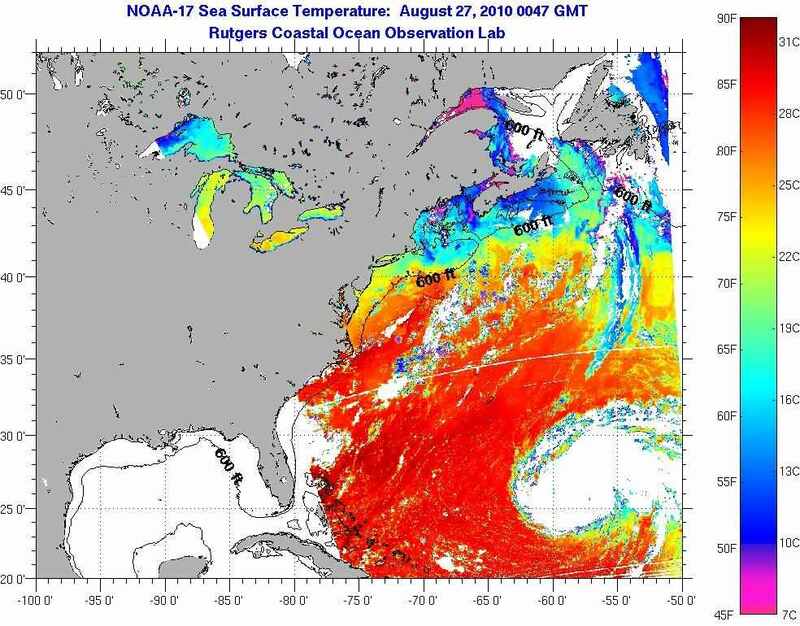 The Loop Current in the Gulf of Mexico ceased to exist months ago, the latest satellite data clearly shows that the North Atlantic Current is now GONE and the Gulf Stream begins to break apart approximately 250 miles from the Outer Banks of North Carolina. 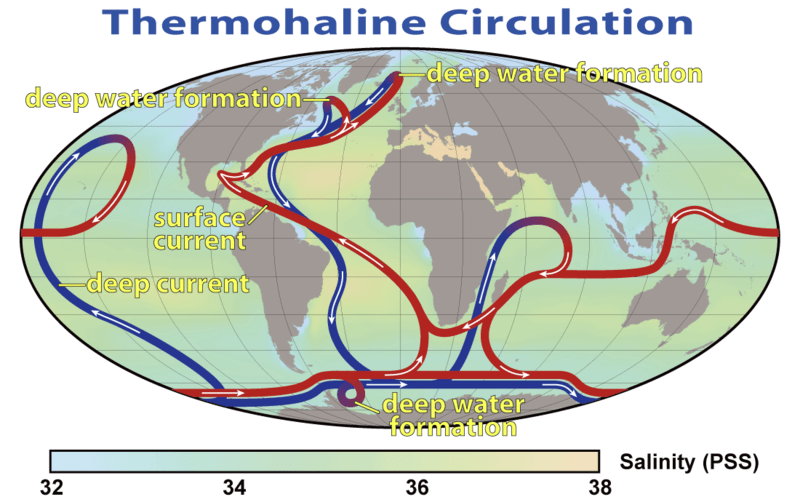 The Thermohaline Circulatory System, where the warm water current flows through a much cooler, much larger, ocean, effects the upper atmosphere above the current as much as seven miles high. The lack of this normal effect in the eastern North Atlantic has disrupted the normal flow of the atmospheric Jet Stream this summer, causing unheard of high temperatures in Moscow (104F) and drought, and flooding in Central Europe, with high temperatures in much of Asia and massive flooding in China, Pakistan, and elsewhere in Asia. So what does this mean? Violent mixing of the seasons, crop failures, and increased drought and floods in diverse places is now daily news since the April 20th 2010 BP Oil Volcano. “They have killed the pacemaker of world climate” in the words of Dr Zangari PhD. Dr Mike Coffman PhD geologist resource climatologist, and Dr Tim Ball PhD climatologist have confirmed that if this data is correct, that an ice age and massive climate shift with famine is now imminent. We are now seeing Russia stop all delivery of wheat crops on prior contracts, and most sources of staple food crops moving worldwide in a crisis of famine. The Gulf Stream and related currents are effectively DEAD. This should enrage the public and bring forth scientists to challenge and support the data and analysis, for the consequences to the civilization of mankind and ecological collapse have global consequence producing famine, death and massive population migration away from zones of advancing ice age and regions unfit for human habitation. Let us get the facts and call the corporate and government to task on these issues now or face worldwide catechisms of biblical proportions. TCP shall continue to report with new scientific experts on this most important disaster. A new Ice Age could kill 2/3 of the human race in the first year in a rapid onset; a slower onset would likely kill close to this number but simply take a handful of years. Thank you BP; thank you President Obama, the lies and the dispersants were just great. Now if you could just direct all that hot air to the right places maybe we can avoid a icy hell in our near future!